I’m going to be attending IATEFL 2011 from the comfort of my own home this year. To be honest I’d rather be there in person, but as a technology enthusiast I am very pleased to have the chance to attend the conference virtually. Anyone who can’t go this year should definately check out the amazing things on offer for those people who wish to attend virtually. Below are the links you need, and also the IATEFL livestream video. Visit the Brighton Online conference site here. The conference will be kicking off with live coverage of the opening ceremony and plenaries at 09:00 to 17:00 BST from the 15th to 19th of April. I really hope everyone, be they real life or virtual delegates, has a great time and a big thank you to all the organisers, presenters and professionals whose hard work makes it possible each year. What are the advantages, disadvantages and what is the future of language testing? On the 25th of February 2011 the BBC Today Programme invited Isabel Nisbet, the outgoing chief the UK based qualifications watchdog, Ofqual, to come on and discuss the issue of computer-based testing (CBT). Ms Nisbet stated that the general attitude to CBT had been that it was too difficult a topic to raise, because of the number of various pitfalls, complications and opposition. However, as outgoing chief she had decided to ‘move it off the too difficult pile’ and try and get the subject addressed because she felt it was indeed an important issue. Her explanation was that because children do much of their learning and exploring digitally, they should be assessed in the same way. Her exact words were‘In the future, how things are tested should match how people learn and how they act.’ This echoes back to one of the most important issues with language testing, as raised by Bachman and Palmer (1996) that tests should resemble the real thing for which they are testing. This was one of the criteria for test usefulness; authenticity. 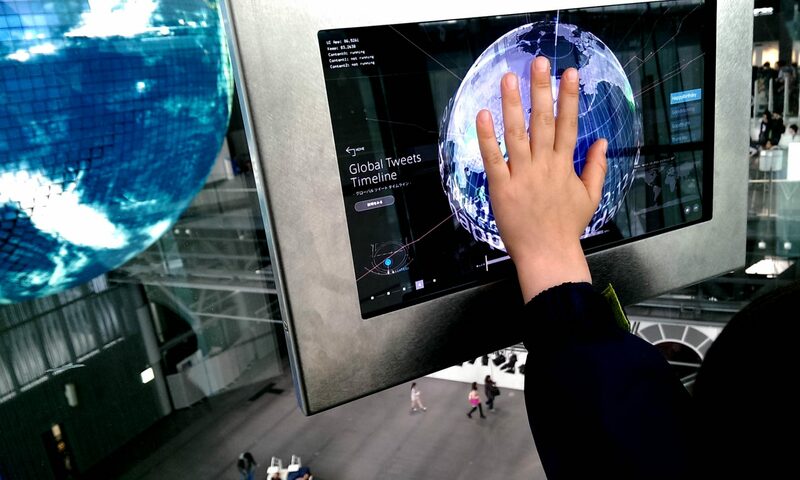 Because the way people, especially younger generations, interact with the world is largely going to be through a computer, testing and assessment should reflect that. This is certainly something which is worth discussing as it will undoubtedly have international repercussions across all areas of education. CBT allows for more accurate, secure, rapid and more controlled test administration. From students sitting the test, to tests being marked and results being published, all the way through to researching those data and evaluating the test. This is perhaps something critics of CBT would argue against, but I think any scepticism on this part would be aimed at a mistrust of technology rather than a genuine belief that paper-based testing (PBT) is actually better in these respects. As long as the computers are reliable and secure there is no reason to doubt the claim that CBT is far superior in these respects. I will address the problems here in the next section. Another great advantage would be that voiced by Nisbet of the authenticity of the tests and the fact that it reflects the real world situational use of the topics being tested. In language teaching, these were referred to as Target Language Use (TLU) domain. It also applies to fields other than language testing. If, upon graduation, you mainly compose emails in French to colleagues and rarely compose postcards on paper, then the test you sat to graduate should reflect this. For my GCSES I wrote a postcard in French as part of the test. I remember I wrote a nice little postcard and then turned to page only to discover to my horror that there was a whole other page of blank space in which to write the ‘postcard’. I was incredibly angry about this, because postcards are short. The test didn’t even match what a ‘postcard’ was in reality. If I was taking that test today, I would be equally annoyed if I was asked to compose and ‘email’ and in fact I was writing it with a pen. I have seen many such examples of this inauthenticity caused by writing on the incorrect media in test preparation courses that I have used as a teacher. This lack of authenticity not only damages the students by not testing them in the context for which they will use their skills, but also damages the face validity of the tests itself, which could lead to resentment and loss of motivation. In addition, by administering a test on the computer, the use of paper printing is minimised, almost entirely. This could reduce administration costs as well as environmental impact. Of course, that is assuming the institution does not have to buy computers especially for the test. Also, because computers can successfully mark any objective sections (where answers have a clear, binary right or wrong answer) almost instantaneously, the need to pay humans to go through with marking grids is erased. This increases the speed of the results and feedback, as well as cutting costs and of course improving the accuracy of marking. Other studies have investigated the difference between CB and PB tests (see further reading). Most of them conclude that CBT is advantageous for students and test administrators alike. So, why the opposition to CBT? What are the dangers and what is holding us back? Earlier I mentioned a possible mistrust in technology which deters both students and institutions from implementing CBT. I have experience of this myself, so I don’t want to come across as a blind technology advocate claiming that we do away with all paper-based tests. I remember coaching Diego, a Spanish students for his TOEFL iBT. The system we used was an internal practice test whose server recorded audio from the students’ microphone. We were in the UK and the server was in the US. On top of that, we had a very slow connection and as we were in a very built up area internet contention was also very high. For this reason, at least two or three times every practice test we did, a few students would lose their speaking test answers. Many students experienced irritation at this poor and unreliable technology, especially because they were paying a lot for their courses. I always used to say ‘it won’t happen when you take the real test’. Sadly, it did happen to my Diego. The computer in which he was working during the real test shut-down in the middle of the exam. He was not allowed to re-take and had to pay again to do the test. Of course, another problem here is that human error can never be completely accounted for when using computers. Diego was the kind of student who was often on the receiving end of inexplicable technical errors. He once kicked the power-switch at the socket by mistake and shut down a neighbour’s computer. However, part of setting up computers for use in class is ensuring that the computers are secure and the workstation is appropriate (ie, power sockets and cables cannot be removed accidentally). Therein lies the problem. CBT does not eliminate human error, but the line between computer error and human error is very fine. In addition, computers do often go wrong, especially older machines and public computer terminals which have hundreds of different users. Administering even thirty or so networked public machines is a full-time job. Computer viruses, bad configuration, faulty hardware and unreliable internet connections all contribute to this. On top of which, students and teachers need the training to use the machines and the specific software. So, computers are no panacea in education. However, let me point out that humans are just as prone to error. Test results being lost in the post, teachers taking home essays to mark and never returning them. The look on a student’s face when you hand out everyone’s homework except theirs, but they swear they handed it in. Yes, there are plenty of reasons to look for a more secure and reliable alternative to paper-based tests. As long as there is a skilled and reliable technician on hand before the test (in order to check the machines are correctly set-up and maintained) and during the test. Also, test instructions and support on the use of the computers must be clear and easy to use regardless of your level of computer or language ability. The connections through which information is being sent must be secure and reliable in order to send through answers and results. Where possible, the machines should be up-to-date and have been regularly serviced to avoid malfunctions. These are things which don’t just apply to CBT but any use of computers in general, however where the stakes are higher (as in with an institutionalised language test) the need to ensure all these things are in place increases. The last ten or fifteen years have seen computers fall in price and rise significantly in terms of reliability and power. Most schools, universities and private language institutions in developed countries around the world are well equipped to offer students computer and internet access. For this reason, it seems fitting that people such as Isabel Nisbet should raise the issue of introducing computer-based testing to replace traditional paper-based tests on a national scale. As with many technological advances, language teaching may well be in the vanguard of this conversion to CBT, however that means it is more likely the technology will be tried and tested by the time it takes over. It is not likely to happen overnight, or even within the next 5 years. What is certain is that large institutionalised tests will have to offer the option to students to take the test on the computer, and gradually the PBTs will be phased out. Already, TOEFL iBT is doing this, with TOEFL PBT fast becoming obsolete. However, ETS has had to redesign much of the test and the way it is administered in order to maximise the computer-based format. For this reason I have a lot of respect for the TOEFL iBT. However, TOEIC remains purely paper-based. The Cambridge ESOL suite offers both PBT and CBT versions of all its tests, except IELTS. IELTS can be taken on the computer only in the Delhi centre, although it is likely the IELTS CBT will be rolled-out worldwide very soon (please continue to check www.engnet-education.com for updates and news on this). It is a gradual process, much like the way CDs replaced cassette tapes. Of course, language teaching is one of those rare professions where teachers still can be seen running to and from the staffrooms around the world clutching pre-wound cassettes where the rest of the world is using mp3s. There are exceptions of course, but my point is there will not be an overnight switch to CBT even if there is a national government level initiative. For this reason it is important to continue researching and promoting the use of CBT because it does reflect the way things are going. It is true that we use computers more and more for communication, and as such our tests should reflect that. Bachman, L.F., Palmer, A.S., 1996. Language Testing in Practice. Oxford University Press, Oxford. Bachman, L. 1990: Fundamental considerations in language testing. Oxford University Press, Oxford. Bachman, L. 2001 Designing and developing useful language tests in Elder, C. Brown, A. Grove, E. Hill, K. Iwashita, N. Lumley, T.
Douglas, Dan 2001 Three problems in testing language for specific purposes: Authenticity, specificity and inseparability in Elder, C.
Luoma, S. (Eds. ), Current Developments and Alternatives in Language Assessment. Jyvaskyla University, Finland, pp. 165-184. Messick, S., 1989. Validity. In: Linn, R.L. (Ed. ), Educational Measurement. Macmillan, New York, pp. 13 -103. Morrow, K., 1979. Communicative language testing: revolution of evolution? In: Brumfit, C.K., Johnson, K. (Eds. ), The Communicative Approach to Language Teaching. Oxford University Press, Oxford, pp. 143-159. Widdowson, Henry 1983 Learning Purpose and Language Use. Oxford University Press, Oxford. Good news! The British Council’s prestigious ELTon Award for Innovation in ELT has shortlsisted my colleagues and I from Kaplan International Colleges’ Learning Innovations department for our work on the distance online course which we created. Very pleased to be on the shortlist, the winner will be announced at the ceremony on the 23rd of February. Click here for a list of other shortlisted applicants and to see the ELTon awards’ website. Engnet-education was previously based in London, England and served clients in both London, Oxford and Cambridge as well as online clients and providing online resources. Now, engnet-education’s main operations will be based in Japan. I have moved back to Tokyo in order to accept a teaching position at Sophia University, and as such I will not be able to personally attend schools in the UK on a regular basis, although I still intend to attend annual conferences such as IATEFL and EUROCALL, as well as the bi-annual Antwerp CALL conference. However, engnet-education will still be able to continue its UK operations thanks to several well trained and experienced colleagues who are also well suited to offer training days and consultations. Also, VOIP (Video Over Internet Protocol) consultations can easily be arranged if one of our UK agents is not available or you are not based in Japan or the UK. Basically, we are expanding! This is very exciting for me, as the founder of engnet-education, for many reasons. First, I’ve been astounded by the success of the company and am very grateful to all my clients for the positive responses, feedback and of course for their valued custom in the first place! Most of the clients who have used our services came to see our IATEFL presentation in 2010: Setting up Self-Access for students through eLearning. For those who did not attend, the full presentation is available to watch on Vimeo and there is a write up in the IATEFL 2010 Conference Selections book, as well as a forthcoming expansion article in English Teaching Professional. Sadly, neither I nor any engnet-education representatives will be present at IATEFL this year, but we will certainly be back for 2012. Another reason why the move to Japan is exciting is that it offers the chance for new challenges, new connections and new working relationships in what is certainly an amazing country for language teaching, most notably English Language which is what I specialise in. Although the Eikaiwa (Private Language School) industry is a little rocky, there are still lots of schools out there, not to mention the state and private Junior and High-School sections. It is also a great joy for me to be working at Sophia University, a leading Foreign Language Education institute and one of the most prestigious universities in Japan. It has long been an ambition of mine to teach Academic English in Japan and this year that dream will be realised. Japan is a country with an interesting relationship with English. This is a theme which I shall be exploring in a more dedicated section of the site all about eLearning and Language Learning in general here in Japan. There are many Computer Aided Language Learning (CALL) specialists here, such as Glenn Stockwell and Lawrence Anthony, creator of AntConc the free concordancing software. Not to mention Thomas Robb and of course the well-established Japan Association of Language Teachers (JALT) CALL Special Interest Group, with its own peer reviewed journal, conference and chapter events. Very much looking forward to participating there after having been a member for so long. Despite the current economic climate, both globally and in Japan specifically, English Language Education is still of high importance in Japan, and so at engnet-education we are pleased to be able to offer our services to an industry which very much needs to stay on top of innovations in learning and teaching. We are also officially launching a new arm of the company, engnet-academy, which will provide both online and blended learning solutions to coroporate clients for their English Language Learning needs. We are also branching out further into materials development, producing a range of interactions for my former employee Kaplan International. So, as you can see, 2011 certainly looks set to be a busy year for engnet-education. If you would like to learn more about what we are doing, or would like to get involved please send us an email, we would love to hear from you. This post is all about resources which are invaluable to language teachers – authentic materials. There are so many authentic resources which can be adapted for use in the classroom that it may seem daunting to know where to start, or what the best way to go about altering the materials is to get them class-room ready. In this post I will introduce a few examples and tools which make this job easy, and some general ideas about how to reduce the work on the teacher without decreasing the personalisation factor of adapting materials for the classroom. Straight away you can see that there are clear sections and each one contains a specific task. Also note that from week to week these activities vary only in content, for the most part the type of tasks change very little. This makes the writing process a lot easier, it means you know already what will go in your worksheet and the same is true for your students. Of course, variation of task types is a good thing, but this can be achieved with different worksheets and lessons, if you are writing a series of such materials it is best to have a strong structure, but also don’t be too rigid about it as this will make the worksheets become stale. Research such as that into the Involvement Load Hypothesis or Cognitive Load Theory have suggested that by increasing the difficulty and required ‘brain power’ used by a task helps with remembering the content and can lead to longer-term retention of the target language. Elaboration Theory utilises this by making tasks in a learning interaction or worksheet become gradually more complicated, thus increasing the chances that the learner will acquire the target language. These theories are easy to incorporate into your worksheets. No matter how good your tasks and activities, they are only ever as good as the source material. When choosing the source material which you are going to adapt, there are a few things you might want to consider before making the final selection. These are authenticity, relevance, curriculum fit and potential for further learning. Peacock (1997) found that authentic materials were more motivating for students, even lower level students, than unauthentic materials. However, there have been a lot of debates over what constitutes as authentic and what doesn’t. Henry Widdowson (1990) makes the distinction between ‘authentic’ materials and ‘genuine’ materials. Here, authentic materials are originally written for non-learners of the language (proficient speakers or L1) and used in the same way in the class with the learners. Genuine materials have been adapted from authentic materials in order to emphasise linguistic components for learning. Both of these are good things, but obviously when choosing the source material we must also consider the difficulty it may pose to our learners. There are a number of ways of doing this, but one quick and easy way is to use the Flesch–Kincaid readability test, which is built into Microsoft Word and can be used on any text you have in there. A score will be produced which you can use to roughly guess how hard the text will be, based on a number of criteria derived from corpus linguistics, such as word frequency, length, etc. I will expand on this idea further in a later article, but please feel free to contact or use the comments below to discuss. For me, the main thing I look for when choosing materials to adapt for class is whether they interest me or not. If they do, I am more likely to be able to get my class interested. At the end of the day, you may have to use a number of objective criteria to fine tune your choices, but the main decision will be subjective based on your own teaching preferences and this is a good thing. Teaching and adapting materials for you class are highly personal, and if they are not the lessons you do will fail because of this. Blogs, Wikis, micro-blogs, virtual worlds and social networks seem to dominate much of our time these days, especially with new technologies on mobile applications allowing us access from anywhere at almost any time. People are checking facebook from their smartphones and updating followers on Twitter while attending conferences and meetings, or during the commute. Many of the posts that appear on this site are composed on my Blackberry and published via 3G. Social networks take up a lot of people’s time these days, and love them or hate them they are a rich source of language input. When I was conducting research for my dissertation one of the questionnaire participants commented that they felt social networks would be very useful for the students in terms of meeting and communicating with people in the target language, especially because they taught in a Foreign Language context (meaning that the students all live in a country where the first language is not the language being studied) but because this teacher felt inexperienced about using social networks in their own personal life they were not comfortable recommending it to their students. This seems perfectly reasonable. If you are not comfortable with something it is almost imposible to stand up and teach someone it, even if you can appreciate the value. For this reason I thought this post would be useful in providing a few ideas about how to incorporate social networks into your language teaching while avoiding the pitfalls. To make this more digestible, I have composed a list of bullet points to illustrate what I think are the dos and don’ts, followed by a list of ideas and links to try out. Let’s start with the warnings first. All social networks work by having users enter personal information about themselves, which is then searchable by other users. All this personal information is stored in a database and much of the information provided is available for anyone to see and search. I’ve had experiences where I’ve clicked on a friend’s facebook profile, been able to learn who they are in a relationship, view pictures of their partner, gain phone numbers and addresses, birth dates and even find out where people are going to be at a particular time. Creepy though this sounds, this is all by simply looking at the information that comes up when you view someone’s profile. This is very dangerous, and I recommend you take this quick privacy report test before reading any further. The test is available at www.reclaimprivacy.org. You can also view recommendations there about how to improve your privacy settings. Once you are happy with this, you can also recommend it to your students. If you are planning to use social networks with your students it is highly recommended that you make your profile as private as possible as your students and your friends will get mixed together and that can lead to issues. A way around this is to have two accounts, or if you are uncomfortable having your students as ‘friends’ on facebook then I suggest you simply don’t allow them. You can still utilise social networks in your class without adding your students as friends. recommend your students to make contact with people they don’t know or have never had previous contact with. add students as friends if your own personal profile has deeply private content on it (such as photos of you drunk, which your friends have posted up). create a group or page which is specially for your class, so you can keep members organised and together. If you create a group, you can also connect with students without having to add them as friends, thus ensuring privacy for you and for them. go over the rules of Netiquette, that is polite conventions and rules which students should abide by when posting on public online forums and sites. This should include being wary of anyone they don’t know adding them as a friend or requesting details. encourage students to reply to other people’s public posts about topics which are of interest to them, even if they don’t know the person this is ok. For example, if you are fans of a celebrity who has a public fan page, or members of a particular group online, it is fine to chat and respond to people’s posts on these public areas because the nature of the discussion is open. This is not the same as sending a friend request to someone you don’t know. There are many more of these and I will be compiling a more comprehensive list and adding it to a permanent page soon. Below are a few lesson plan ideas which you may wish to use. You have been learning about giving advice in class and you would like to give your students some authentic, meaningful interaction with real speakers. Although you may need to screen the sites you use carefully, you could take your students to a site which allows people to write in with probelms or asking for advice. First your students could create their own posts asking for advice (make sure they only write about something they are comfortable sharing with the class, such as the feeling that they are not learning fast enough or have no one to practice with. If they can’t think of anything they could write it on behalf of an imaginary friend). After that they should follow the thread and also try to reply to some other people who are having a problem which they think they can help with. Although it may sound risky, I have done this lesson a few times with mature classes and students always get a lot out of it. If you explain that the class will be sharing the posts then people generally don’t post up anything too personal or that they are uncomfortable sharing, and my students are always respectful of other people. The real advantage of this lesson is that it goes beyond authenticity and is actual real world use of the target language. This really gives such a class the edge over any contrived language practice lessons from grammar books. A lot of rich, real language also comes out of these lessons, which students can ask about and share in class later. There are lots of groups on facebook and other social networks which are specifically for language learning. For example, the BBC has a learning English facebook page which allows wall comments and photos. This is a great place to get your students commenting on things and replying to posts. They could ask questions about something specific on the wall or post a link to something they found useful. Although this might not take a whole lesson, it could be treated as a homework or used as a study suggestion. Alternatively, you could have students go and post something on the wall and search other posts for something interesting to share with the class. If your class enjoys a bit of competition, why not ask students to create a new twitter account and to see who has the most followers after a week, who can manage the highest number of tweets in a week, and who can manage to get a famous person to follow them. There could be a running narration going on over the course of the week and the final lesson where the winners are announced should be quite exciting. These are just a few ideas but as you can see, there is no need for privacy to be invaded or personal space encroached on just because you are using social networks with students. The key is to try a few of these things out yourself (preferably in a language you are learning yourself) and then get the students to have a go. If students don’t wish to create profiles with their real names they can always create a generic or anonymous profile, as long as it is not used to offend or insult people. If you have any further ideas or comments, please add them below. Sending out student feedback is essential. 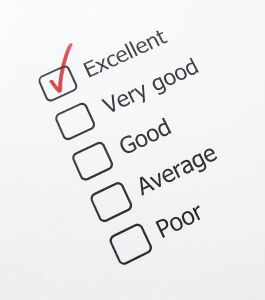 Good materials design needs to incorporate student feedback. Also, after assessments and tests, it is vital that students receive personalised feedback in a supportive way. Below is a training video which I made to help teachers automate student assessment feedback through MS Word’s built in Mail Merge features. The moodle.org site is now using Moodle 2.0. Interestingly, it looks and functions in much the same way. This is a good sign as it shows that the new platform will be able to slide neatly over any current production sites using Moodle 1.9. There was a very interesting review in the Wired section of The Language Teacher (JALT newsletter), Ted O’Neill wrote an article entitled “What’s new for instructors in Moodle 2.0?” all about the benefits of Moolde 2.0. The release notes provide a useful summary, but I will summarise some of the core new features and their benefits for institutions. Moodle 2.0 will install directly over an existing Moodle 1.9 installation and maintain course and category structure. It should also be able to allow course restore from backed up courses that come out of Moodle 1.9. This is not currently available with the current release candidate, but it is planned for the stable version of Moodle 2.1. Moodle 1.9 had a severe limitation for administrators as it did not support site-level groups. This made it extremely difficult for institutions, such as my employer, who had multiple schools but with students enrolled on the same course. Moodle 2.0 supports ‘cohorts’ which will provide a solution to this issue. Activity locking was a popular plugin for Moodle 1.8 but it wasn’t supported in later builds. This feature has been incorporated into the Moodle 2.0 main code and allows you to add conditions or pre-requistites to your courses, thus preventing students from doing activities in an arbitrary order. This will have a huge effect on the way eLearning courses are designed and delivered in Moodle, as the new conditional activities allow you to set tests and revisions or final assessments which build on previous activities and ensure students have done all the preparation work first. Along with these developments Moodle 2.0 will also offer better SCORM compliancy, although it does not completely support SCORM 2004, this functionality is available as a commercial plugin called SCORM Cloud, which allows fully integrated SCORM compatibility. The new build will also feature an improved theme management system, which will allow users to put RSS themes and blocks on their profile page and support server-side caching making it more efficient for CSS 3, HTML 5 and Java Script. The way Moodle 2.0 is navigated is different as well, with a navigation bar which can either be expanded or collapsed much like in Blackboard Vista. There will still be a range of 3rd party open source and commercial plugins, one of particular interest being the Adobe Connect integration. 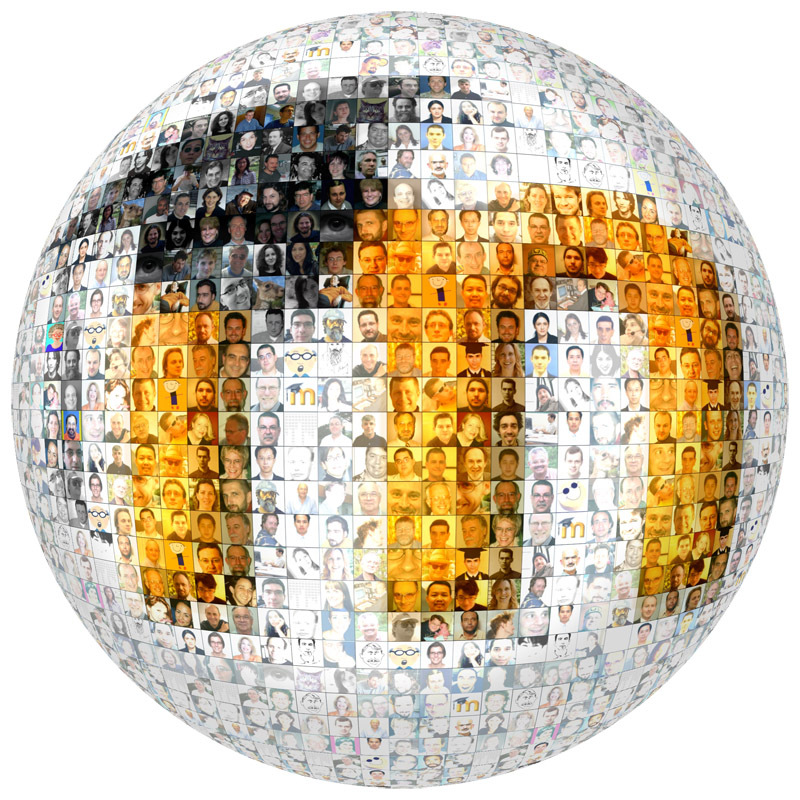 You can read the full Moodle 2.0 release notes here, and download the release candidate here. All in all, these developments should only help strengthen Moodle’s position in the global VLE market and bring it into the new decade of what promises to be an exciting time for the education sector as a whole and language learning and teaching in particular, as instructional technologies become more adept at providing socio-collaborative learning environments. The theme of this years’ EUROCALL conference was languages, cultures and virtual communities. Here is a video-podcast I made of the conference. This presentation was given at both Antwerp CALL 2010 and EUROCALL 2010, Bordeaux. There is also a podcast of the EUROCALL conference and a recording of the EUROCALL presentation. This presentation is based on research conducted as part of my master’s dissertation in Applied Linguistics and ELT at King’s College, London (supervised by Dr. Nick Andon). The slides from the presentation are available to view here or download in PDF. View more presentations from Richard Pinner. 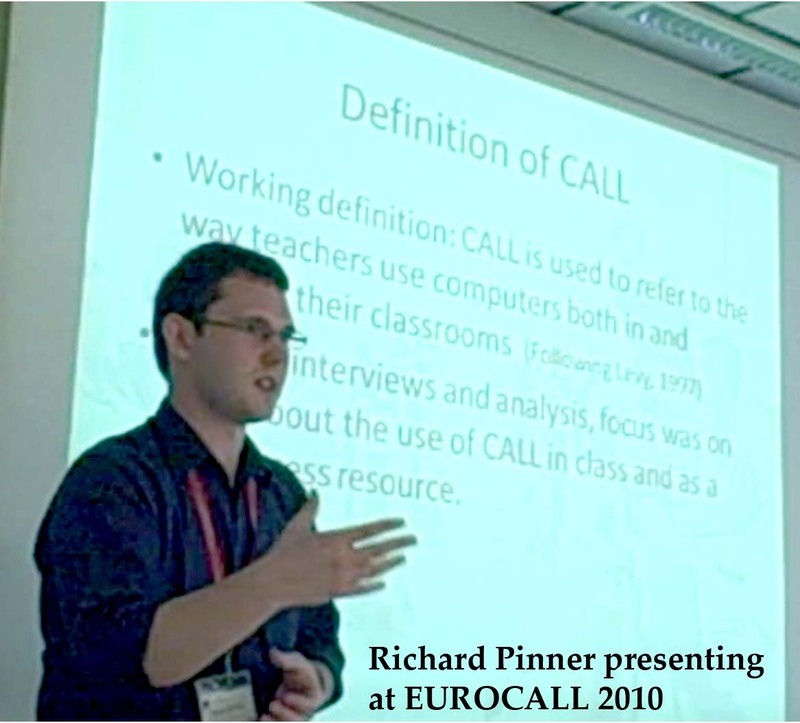 Teachers’ attitudes and motivations for using CALL in and around the language classroom from Richard Pinner on Vimeo.